We are currently investigating the cost to have all the lighting inside and outside the church replaced with modern lighting. The aim of this is to provide better lighting in the church, particularly theside aisles, and to reduce running costs. We hope the new lighting will be more sympathetic to this lovely building and we are awaiting a design and cost estimates. Over the past 20 years the Lady Chapel has been restored as a particular place of prayer and contemplation, the back areas of the Church cleared and made into an open space for a small crèche and children’s area. 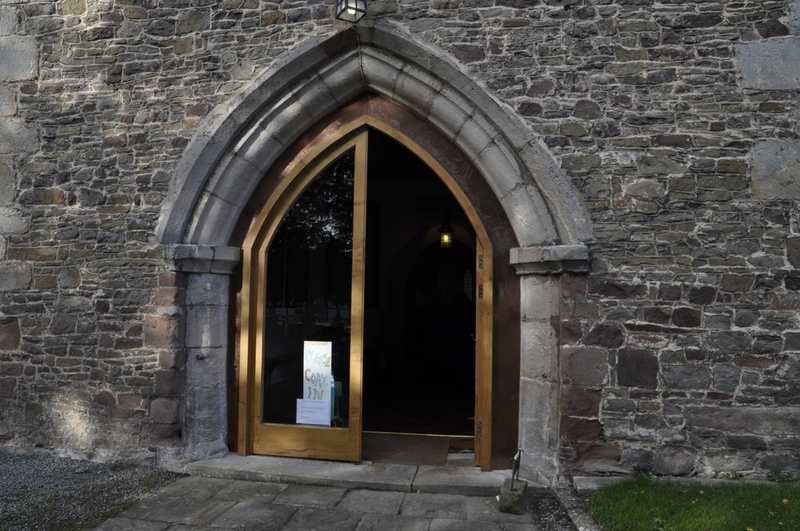 A kitchen established for social purposes and most recent of all the church porch restored to house a number of repaired benefactors boards with new glass and wooden doors replacing the old and very draughty open metal doors. The Shingles on the Church Tower have been replaced to protect the Tower itself from any inclement weather which may occur during Autumn and Winter (but let’s hope not Summer). The Church Quinnquennial will also highlight any other urgent needs on the Church which we hope will not be too exacting or demanding on our finances. As I may have said before, the Church is now as warm as it ever was and in as good a condition as it has been for many a century. This is the result of hard work by so many for which the village community should be so grateful. Interior Decoration. The redecoration of the main body of the church as well as the North and South Aisles has now been completed . The redecoration will involve scaffolding costs and total expenditure is likely to exceed £10,000. We are receiving several grants but also raised funds in the Parish and wider community.